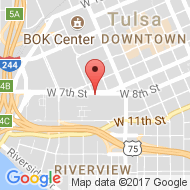 Tulsa Attorney BlogDoes a Joint Tax Return Make a Common Law Marriage in Oklahoma? Every year at tax time, people approach us with questions about common law marriage in Oklahoma. Some want to know, since common law marriage is so easy to start, is it just as easy to end a common law marriage. 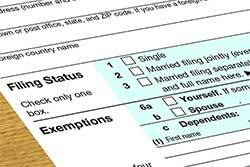 Others want to know if their tax filing status actually affects their marital status. Should we file a joint tax return if we live together but we are not legally married? If we file a joint tax return, does that mean we have a common law marriage in Oklahoma? We were not legally married but filed a joint tax return. Now we are living apart – what do I do now? Why File Joint Tax Returns if You Live Together? Let’s look at the first question. Why would you want to file a joint tax return if you are not legally married? For some, filing a tax return as a couple can contribute to a sense of bonding and shared purpose, sort of like marriage. Or it could be a matter of household efficiency — a way to cut tax paperwork in half. Tax preparers might urge you to file jointly as a way to reduce your taxes. The IRS agrees. By filing jointly “your tax may be lower than your combined tax for the other filing statuses,” according to IRS Publication 17. The IRS document says you can file a joint return if you are living together in a common law marriage recognized by the state where you reside. Yet the IRS says it is up to state laws to determine what is a common law marriage. What makes a common law marriage in Oklahoma? Unlike a formal marriage, celebrated by a wedding and documented in a marriage license the path to a common law marriage can seem gradual and uncertain. From a legal perspective though, either you are in a common law marriage or you are not. Mutually holding yourselves out to be married, with ample evidence to back it up can be all it takes to establish a common law marriage. How do you hold yourselves out to be married? One way is by filing a joint tax return. Other ways can include sharing a last name, wearing wedding bands, telling friends or family that you are married, buying health insurance together, maintaining shared financial accounts, holding real property deeds as husband and wife, or filing bankruptcy together. You do not have to file a joint tax return to list your status as married on a tax return. By selecting married but filing separately, you might avoid some of the consequences of filing jointly – such as liability for some of a partner’s tax debts, mistakes, omissions or fraudulent filings. There are other tax consequences that can make married but separate status less appealing. You must both itemize deductions if either of you chooses to do so. At above average incomes, tax brackets for a person filing married but separately increase more quickly than a person filing as single. The Oklahoma family law implications of filing taxes separately but married in a common law marriage, however, are the same as if you filed jointly. When you both agree to file a tax return listing your status as married, you might be as good as married for many legal purposes. Can I Get a Common Law Divorce in Oklahoma? The line between friendly cohabitation and common law marriage in Oklahoma can be as simple as both of you signing your name to a joint tax return. However, simply filing as unmarried the next year will not legally end a common law marriage that started so easily. It is sometimes said there is no common law divorce. Whether a joint tax return actually establishes a common law marriage is a bit of an existential question. If a tree falls in the forest and nobody hears it, does it make a sound? Of course it does, but if nobody hears the sound, what does it matter? If nobody knows you were calling each other husband and wife… if one day you simply take off the wedding bands, sell the condo you bought together under one of your names, agreeably divide the proceeds and mutually decide to move on with your lives, who is to say you were ever in a common law marriage? Does the IRS require that you submit divorce papers if you file as unmarried after you file jointly? Not to our knowledge, but if your tax returns were audited the question could come up. If you want to protect your future assets — including your retirement savings — it can be wise to take a more definite approach to divorce than when you informally decided to be married under common law. Those who have previously filed a joint tax return as a common law couple have other reasons to consider a divorce. 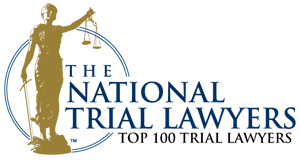 Formal dissolution of marriage can protect you from future financial claims by your former common law spouse or from liability for medical expenses of your former common law spouse. A legal divorce can protect future financial windfalls as your own. What if you won the lottery tomorrow? Without a divorce, your former housemate and common law spouse might claim your winnings as marital property. There could be other advantages. Divorce can encourage a common law spouse to discuss equitable division of marital assets. A divorce could even provide a future partner assurances that you are legally disentangled from a prior relationship. Divorce after a common law marriage in Oklahoma can conceivably protect you against allegations of bigamy – especially if you lived together for a long time in an intimate relationship, owned property together, raised children together and represented yourselves in the community as married. Entering a common law marriage can be a casual and gradual decision. Common law marriage is nonetheless marriage. As such, common law marriage entails some of the same legal benefits, burdens and consequences as a formal marriage. Ending a common law marriage without exposing yourself to legal or financial consequences can require somewhat more effort than was required to establish the marriage. Those interested in or concerned about common law marriage should consider the consequences both before and after listing your status as married on a tax return. If you are uncertain about your marital status after previously filing a joint tax return, or you are concerned about the consequences of filing a joint tax return when you are not formally married in Oklahoma contact a Tulsa common law marriage attorney at Wirth Law Office to learn more. Call today at (918) 879-1681 or send your inquiry using the form on this page.